Our appa would have turned 88 if he were alive today. 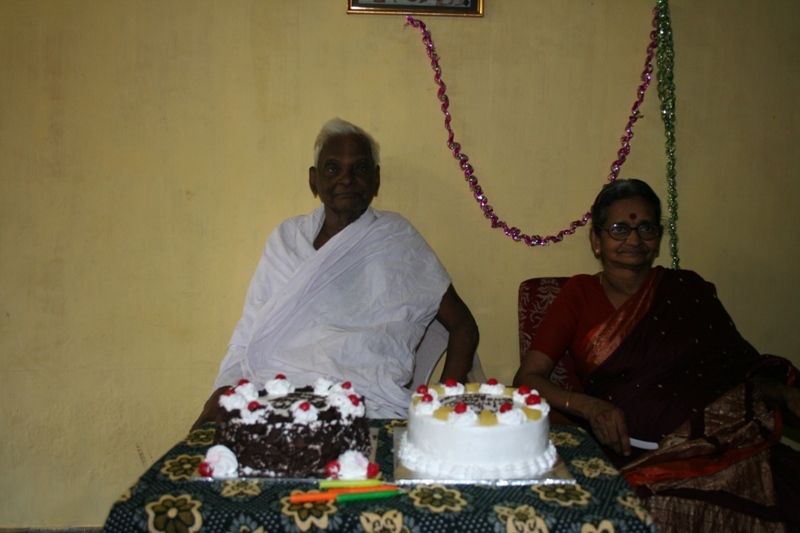 We were fortunate to celebrate his 86th when we all were present in Chengalpattu on Saturday, December 08, 2012. Mom was also present and we celebrated the joint birthday for both of them (mom’s was one moth later and she turned 72 then). Today neither of them are physically with us. However, they are always present and watching over us. 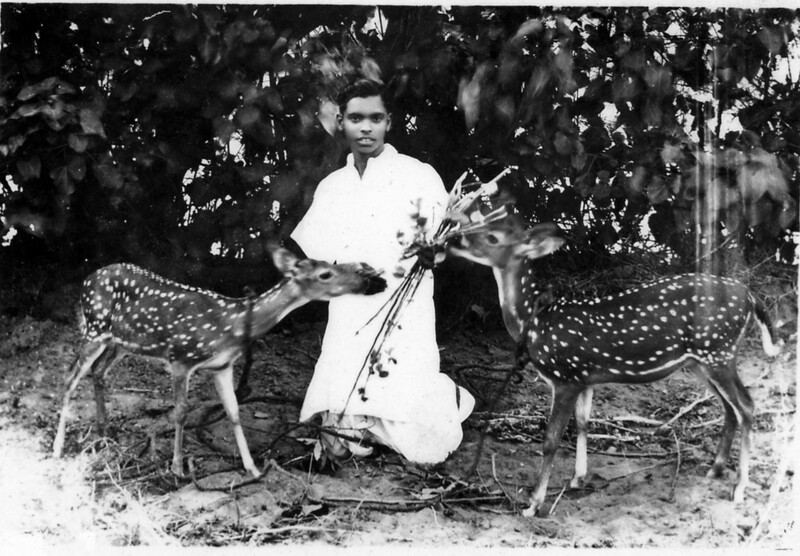 Appakutti Somasundaram Thayumanswamy Pillai at his residence in Vedaraniam (Thirumaraikadu) with two of his pet deer. He would be around 20 years old in this undated photo. (Left to Right) Sekar (Somasundaram), V. Appakutti Pillai, Thiyagarajan, Sambasivam, Thillaikkarsi, and Thayumanswamy Pillai at our residence’s front office. 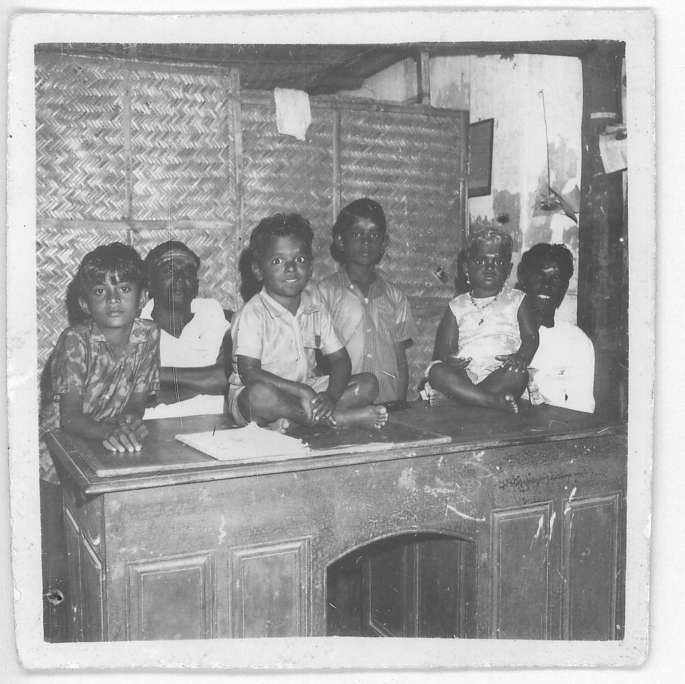 The desk in front is my dad’s official desk. This was probably taken around 1970-71 based on usha’s mottai!